Since 1996 Able Care has served both individuals and organisations. We have years of experience of assessing, supplying and installing on behalf of various healthcare; housing and social work professionals. Call us on 01463 233900 (Inverness) or 01224 636868 (Aberdeen). 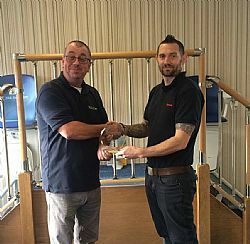 Thank you very much for the prompt assistance when we enquired about the feasibility of installing a stairlift and for a most thorough assessment onsite and informative quotation. It has been a great help to us in planning for future needs. We will have no hesitation in returning to you if and when the need arises.